In recent years the developed world has seen an increase in the prevalence of incurable disease and disability. Medical and technological advances have reduced infant and child mortality rates and, at the same time, have improved the survival rates of children with severe and potentially lethal pathologies who need complex palliative care. Children with life-limiting and life-threatening illnesses deserve the best quality of life possible. Even today, despite the passing of Law 38/2010, establishing access to Palliative Care and Pain Management services within the national healthcare system and widely regarded as the best existing legislation on the subject of pain and palliative care, only a small proportion of the children with incurable illness benefit from palliative care services. Many of them will die in inadequate conditions; without relief from distressing symptoms, usually in a hospital setting and rarely with care support in their own home where many would prefer to spend as much time as possible and eventually die. A more efficient use of the resources currently allocated for the care of these patients could be achieved by creating specific pediatric palliative care services and integrated networks that would guarantee a more appropriate management of the illness (at home, in the hospital, in the hospice) whilst safeguarding the dignity and quality of life of young patients and their families. This would result in a reduced demand on acute medical services and, consequently, on healthcare resources. The Maruzza Foundation has taken to heart the plight of these children and their families and, with the backing of scientific committees, parent/pediatric associations, is currently working at a national and international level to bring about important institutional changes. The Children Project, Directed by Dr. Franca Benini from Padua University, aims to develop a network of hospice and palliative care/pain management services in Italy (at a regional level) that meets the needs of children and adolescents affected by life-limiting and life-threatening illnesses, regardless of age, cultural, social and economic background. Thanks to the contribution of the Nando Peretti Foundation (contract no. 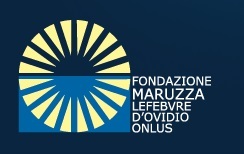 2012/108), during the past years, the Maruzza Foundation has been able to work for the development of paediatric palliative care pain/management networks in 3 Italian regions (Lazio, Basilicata, Marche), providing the expertise and workforce and thus creating the conditions necessary for the realization of the specialised network benefiting approx. 40 critically ill children and their families. The purpose of this project, which received a grant from the Nando Peretti Foundation, is to continue to support the development of the paediatric palliative care networks in the Basilicata region that has requested the Foundation’s support, in the planning and delivery of services and facilities dedicated to palliative care and pain management specifically for children. Childhood conditions requiring palliative care differ from those of adults, they are multiple and wide-ranging, the duration of care is variable and difficult to predict, the diseases are frequently hereditary (they can affect several members of the same family) and rare; they are either life-limiting or life-threatening. In the absence of specific epidemiological data, it has been estimated from existing national and international figures that, at any one time, in the Basilicata region (Istat figures 2014, resident population: 97.706 children < 18 years), the number of paediatric patients affected by chronic incurable pathologies in need of child-specific palliative care is approximately 294 subjects (prevalence data): each year about 30 will die (about one third from cancer and 2/3 from other pathologies, predominantly neurodegenerative, metabolic and genetic). In 2008, the Foundation and the Basilicata Regional Authorities signed a Memorandum of Understanding in order to work together to create a regional of palliative care and pain management network for children. In recent years, there have been many administrative undertakings and decisions made by the Regional Authorities that have laid the foundations for the implementation of efficient and sustainable services for children with incurable illness. The homecare team, which initially consisted only of a specialised physician, occasionally assisted by a community nurse, since last year, thanks to the support of the Maruzza Foundation, consists of two doctors and a specialised nurse working exclusively for this service. Moreover, in June 2015, the Basilicata Regional Authorities approved funding for the reconversion of existing buildings for use as the ‘Casa della Salute’ and the ‘Casa del Bambino’ (children's hospice in Lauria), acknowledging that the cost for the realization of this project was defined at € 1,600,000.00. The administrative procedures to access funds allocated for this purpose have been actuated. 1. The organization of specialised training programs for professional and volunteer carer-givers. All professionals and volunteers involved in palliative care should receive adequate and appropriate skills/knowledge training. To guarantee a uniformity in PPC/pain management training of health care professionals working with critically ill children, the Maruzza Foundation, in collaboration with the Italian Palliative Care Society, has devised a ‘Core Curriculum’ for the professional figures that make up the specialised multidisciplinary care team: physicians, psychologists and nurses, as specified in legislation 38/2010 and consequent operational decrees. The core curriculum was presented during the National Congress of the Italian Palliative Care Society in October 2014. This document will be the basis for the development of PPC /pain management training throughout Italy. Specialist training: aimed at healthcare professionals who must acquire the expertise and skills necessary to meet all the clinical, organizational, social, psychological, and spiritual needs of children eligible for pediatric palliative care, regardless of age, the type of disease and care setting. 2. To support the organization of the services and the realization of the structures. Family-centred home-care is the goal of paediatric palliative care; it is what most families want and has a positive impact on the child’s quality of life. Home-care requires the involvement of the multidisciplinary team to support the family: there must be 24 hour access to paediatric palliative care expertise, to appropriate respite and immediate hospital care if needed. Home-care is not always feasible; for particularly complex cases, exhaustion, emotional stress or logistic and organizational reasons, temporary residential solutions (hospice) are necessary. For this reason, in addition to increasing funding for the healthcare staff members involved in the homecare team, the Maruzza Foundation intends to provide specialised consultancy for the initial setup of the children’s hospice/Regional Reference Centre in Lauria (PZ), the organization of the regional homecare network and contribute specialised equipment needed for the Children's Hospice. The implementation of specific training programs based on the "core curriculum", certified by the Italian Society of Palliative Care, will generate significant improvements in the skills of the healthcare staff working with the care team and consequently an important benefit for the quality of life of critically ill children and their families. The implementation of paediatric palliative care and pain management services will enable an increased number of children to be acknowledged as a person and be included in the decision-making process (together with the family) to establish treatments, goals and care-settings, ensuring better quality of life for the patient and family. In one of the smallest regions of Italy and located in the south of the country where currently there is no other service institutionally recognized for "taking charge" of children suffering from incurable diseases, the multidisciplinary care team could become a models for similar initiatives and develop into center of excellence for training, planning, monitoring and the development of research in child-specific palliative care. The construction of residential structure, whether they are Children’s Hospices or respite facilities, will guarantee that the children and their families are cared for by highly qualified staff in a setting that fully meets their needs.